Born in Thailand in 1976, Anocha Suwichakornpong graduated from an MFA film program at Columbia University, New York. Anocha’s thesis, Graceland, became the first Thai short film to be included in the Official Selection at Cannes Film Festival (Cinéfondation). Anocha’s first feature Mundane History received the Hubert Bals Fund, screened at more than forty film festivals and won numerous awards including the Tiger Award from Rotterdam, Grand Prix Prize from Transilvania and New Horizons, and Best Director from Mumbai. Her second feature, By the Time It Gets Dark premiered in competition at Locarno Film Festival 2016. Parinee Buthrasri is a producer and cinematographer based in Thailand. Parinee began her career at Electric Eel fIlms in 2009 as a still photographer on Mundane History. She has worked as a Line Producer and Production Manager on feature films by Anocha Suwichakornpong, Aditya Assarat, Lee Chatametikul, Kongdej Jaturanrasme and Nawapol Thamrongrattanarit. She is the producer of Anocha Suwichakornpong’s 3rd feature Come Here. Currently, Parinee is based in Prague, Czech Republic, where she pursues her MA in cinematography at Film and TV School of the Academy of Performing Arts (FAMU). Pom Bunsermvicha graduated from Brown University with a Bachelor’s degree in Modern Culture & Media. During her semester abroad in Prague, she attended FAMU and directed her 35mm short 10:10, which was shown at BFI Flare and Inside Out Toronto. Her thesis short film E-po (A Second Chance) premiered at LAAPFF 2018 and competed at the 34th Hamburg International Short Film Festival. Most recently, she participated at the Berlinale Talents 2019. Since 2015, she has concentrated her efforts in aiding the growth of independent cinema through her work with Southeast Asia Fiction Film Lab (SEAFIC) and Purin Pictures. Ming Kai Leung earned his MFA in film from Columbia University. He also attended Asian Film Academy, where he won the Best Performance Award as a cinematographer. His feature debut as a cinematographer, Mundane History, won the top prize Tiger Award at Rotterdam and competed at Plus Camerimage, the International Film Festival for the Art of Cinematography in Poland. Ming Kai's recent cinematography efforts include Old Stone, By The Time It Gets Dark, Murmur of The Hearts, and Invisible Spaces. His current project is a directorial debut called You Were There, which participated in the Golden Horse Film Project Promotion. Wichanon Somumjarn began his university studies in Civil Engineering and ended up focusing on Mass Communications. While he was an engineering student, he made his short film Four Boys, White Whiskey and Grilled Mouse won Best Fiction Award at Tampere Film Festival in Finland in 2010. He decided to leave his studies to pursue his dream in the field of cinema. Somumjarn's first feature In April the Following Year, There Was a Fire competed at Rotterdam in 2012 in the Tiger Awards Competition section. 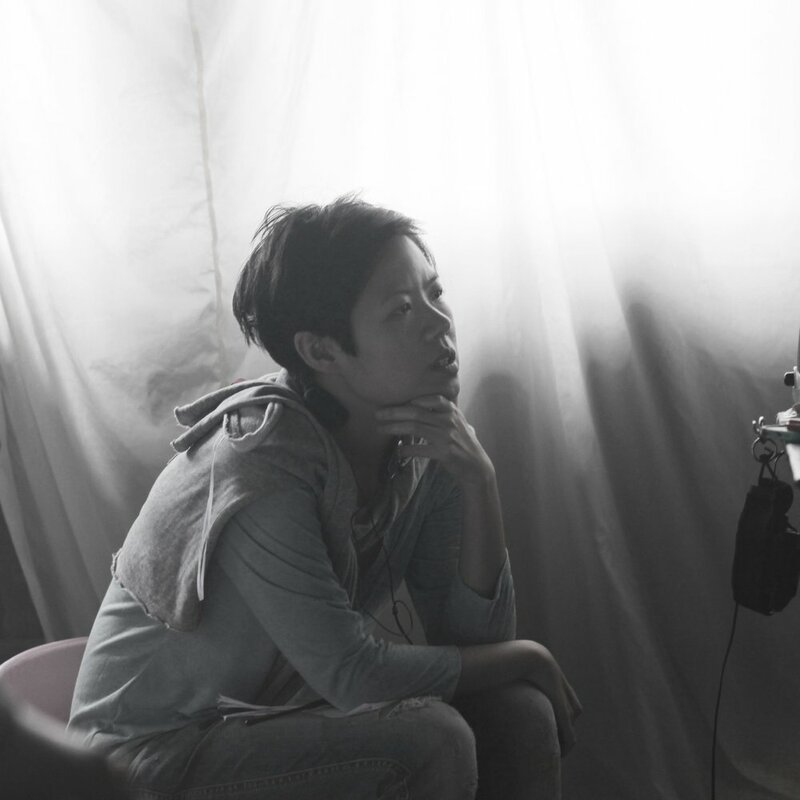 After her work at the Thai Film Foundation, Maenum segued into film production as an assistant director in Aditya Assarat’s Wonderful Town and Hi-So, Anocha Suwichakornpong’s Mundane History, and Sivaroj Kongsakul’s Eternity. In 2011, Maenum produced her first feature In April the Following Year, There Was a Fire, a film by Wichanon Somumjam. It competed for the Tiger Awards at Rotterdam in 2012. Most recently, she co-produced Josh Kim’s How to Win at Checkers (Every Time). Machima began her career as an editor when she participated in Reality Filmmaker, a film workshop organized by Electric Eel Films. She has since collaborated on film projects with Anocha Suwichakornpong, Soros Sukhum, Lee Chatametikool and Nawapol Thamrongrattanarit. In 2011, Machima produced Kong Pahurak’s In The Flesh. She participated at the Kyoto Filmmakers' Lab and the Hong Kong Film Financing Forum. Currently, Machima works as a film editor, a magazine editor, and a yoga instructor. Tulapop is an artist/filmmaker whose works includes performance, video and film, and public projects. He holds an MFA from the Slade School of Art, University College London, and an MA in Aesthetics and Politics at the California Institute of Arts. Since 2009, he worked as an assistant DOP on Mundane History, and an associate producer and casting director on By The Time It Gets Dark. He co-directed Nightfall with Anocha Suwichakornpong. His most recent work is A Room With A Coconut View. Josh Kim is a Korean-American filmmaker whose debut feature, How to Win at Checkers (Every Time), premiered in the Berlinale Panorama in 2015. The Thai-language film won 21 international and local jury/audience awards and became Thailand’s official entry to the Academy Awards and Golden Globes for Best Language Foreign Film. Previously, Josh worked as a producer with John Woo on the Korean remake of A Better Tomorrow and has since directed videos for Apple, Google, NPR and the Wall Street Journal.